I promise a longer, funnier blog in the afternoon. 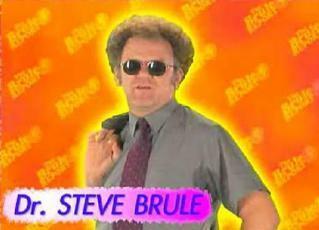 Until then subsist on this: my riding instructor at motorcycle school looks and talks exactly like John C. Reiley's character, Dr. Steve Brule, from Tim & Eric Awesome Show Great Job! Addendum: So we road this morning. Instructors use constructive criticism. Peers build me up. Apparently having absolutely no idea how to ride a bike or even use a clutch works in my favor. Some kind of tabula rasa situation. We also took our written test today instead of tomorrow. The "review" session? Instructor Steve reading off the answers instead of asking us. Those answers? Straight off the test we immediately took. 42 of them. Out of 50. I counted. And then I wrote them back down.